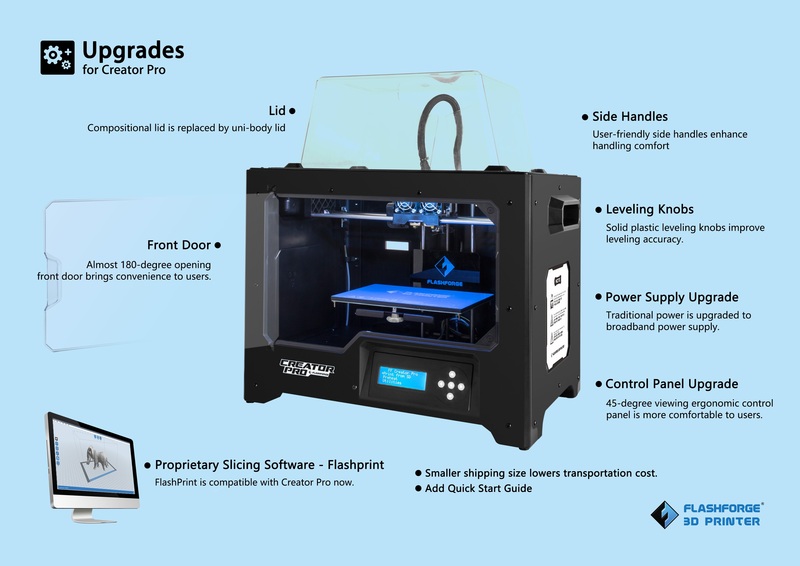 The new and improved Creator Pro with dual extrusion technology. A great printer got even better. 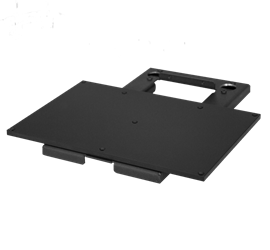 - Control Panel upgrade: 45 degree viewing ergonomic control panel is more comfortable to users. The Creator Pro is the latest addition to FlashForges Creator family. Based on proven design of the Creator X chassis, the Pro is now enclosed. So you can print ABS better and more efficient than ever. The upgraded three-point platform leveling system is now more intuitive than ever. 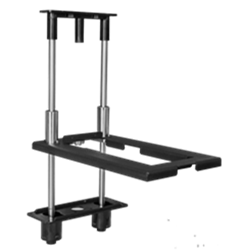 And the all-new heat resistant build platform support is now made of highly-durable metal. Guaranteed not to deform means more time printing and more fun. And a thicker Z-axis rod provides a more steady and precise movement. Every new addition and improvement syncs together in harmony. It simply works. 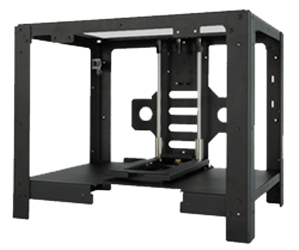 Makes it more stable and durable to crank numerous interesting prints without much maintenance, comparing to wooded frame. Go perfectly with the whole structure, making the printing more precise and steady. Can always withstand high temperature during repeated heating and printing, minimizing warping.